After a performance at Riot Fest that left a bitter taste in my mouth (thanks to Torquil Campbell's ridiculous antics), I was really looking forward to Stars' new album, No One Is Lost. I was hoping beyond hope that the music could atone for the rubbish. For the most part, the album (which comes out on October 14th) delivers. The usually underlying dance influence is far more prominent on this album. The record's bookending songs use it to wildly varying degrees of success. The opener, "From the Night", is a marvelously infectious dance number. On the other hand, the closing title track strays way too far down the EDM road. The group shift into power pop territory on the Amy Millan fronted "This Is the Last Time". It's Campbell's turn on the forceful yet hook-heavy "Trap Door". "Are You OK?" provides the brightest, bounciest pop moments on the record. The interplay between Campbell and Millan is usually a highlight of the band's albums and this is no different. It's a childlike, playful vibe on the lush and eventually swirling "Turn It Up". A handful of tracks are mere throwaways, but with Stars even the throwaways aren't bad listens. That holds true for "You Keep Coming Up", "Look Away", the relatively flat ""No Better Place", and the rudderless "What Is To Be Done?". 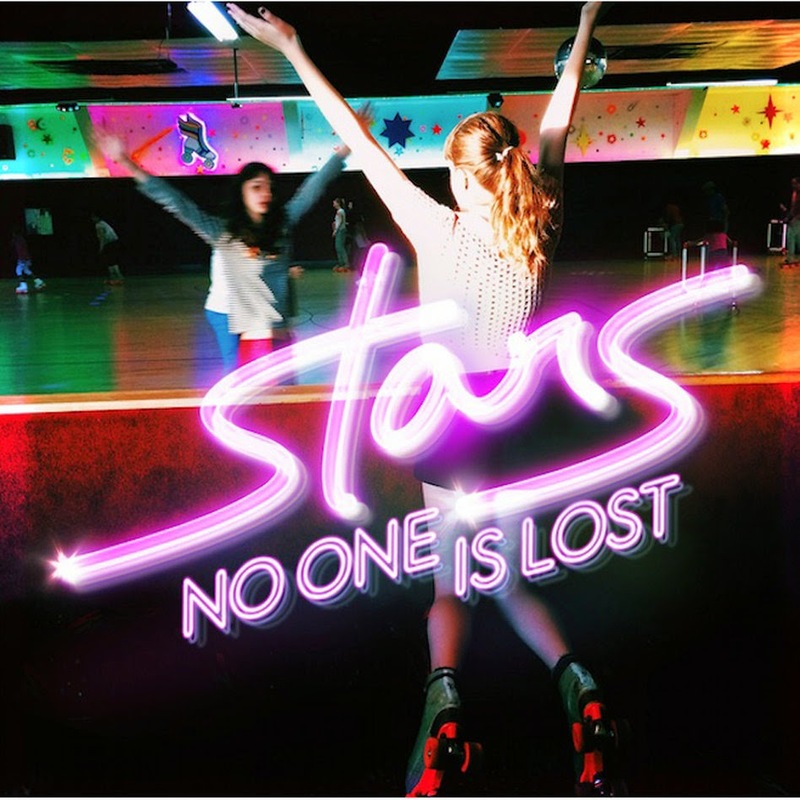 No One Is Lost is another solid album from Stars. It's not enough to make me want to see them live again, but it does help shift the focus back to the music. Stars play the Danforth Music Hall in Toronto on February 12th & 13th. Best tracks: "From the Night", "Trap Door"